Strange thing happened after System Center 2012 R2 Virtual Machine Manager Rollback Update 2 – most fields with dynamic performance counters were not updated at all. 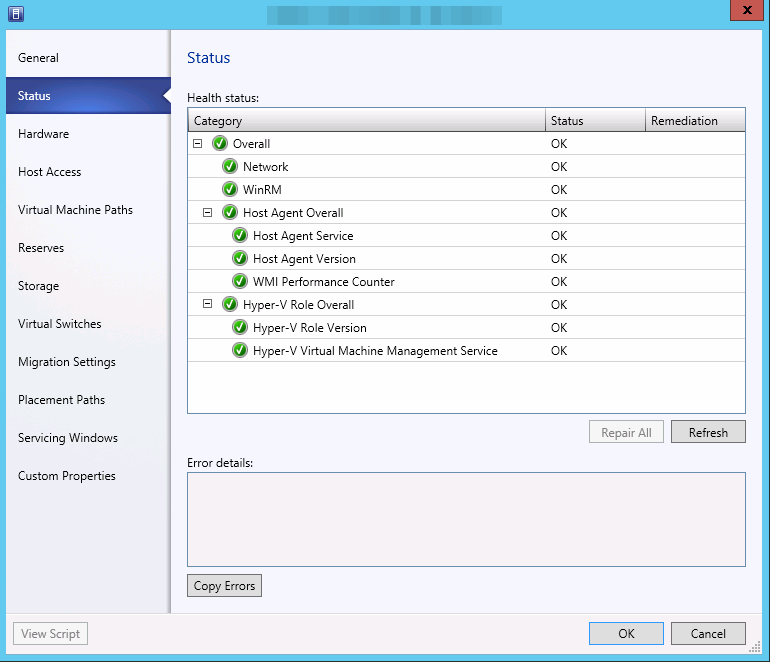 remove host from SCVMM console and re-add with ‚Reassociate with this host’ option – It looks like re-installing VMM agents worked. But in production environment, removing and re-adding all hosts is quite risky bussiness (and what about library and template servers? ), so maybe we will try to force re-install scvmm agents? As you can see on 2014-04-28 with Rollback Update 2 agent has changed to version (3.2.7634.0) but was not refreshed or upgraded on all hosts. I decided to do it manually. Copy vmmagent.msi from 3.2.7634.0 directory to a Hyper-V host or shared network path (for me it was users’s home mounted disk). Refresh host and virtual machines. Dear Microsoft. I couldn’t find a proper way to do it with GPO (update failed without removing agent first) or any other way. Do you understand that doing it with a dozens or hundreds of Hyper-V host is not funny, and in a kinda way is crooked thinking?